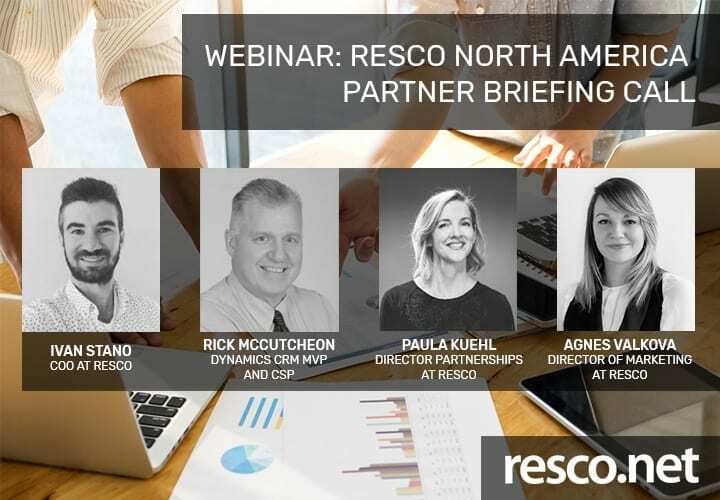 Join the North America Resco Team for our first Partner Briefing Call! With the new year already in full swing Resco is making an investment and commitment to our partners. Our priorities for the new year include, actively working with partners to drive business and creating strategic initiatives. Ivan Stano, COO at Resco, Rick McCutcheon, Dynamics CRM MVP and CSP and Paula Kuehl, Director Partnerships at Resco will discuss our focus on increasing partner engagement, driving partner opportunity, all while providing value to our clients. Join us to learn more about how Resco provides the ultimate tool for mobile businesses & processes.